Need tamborine and.or shaker added to your project or by itself? 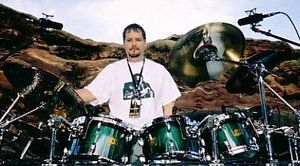 From live at Red Rocks to playing on YOUR project, our studio pro, David Northrup. is ready to deliver session quality tracks NOW! You've seen him on the cover of Modern Drummer, heard his work on Disney and Rascal Flatts recordings, and you've watched him on The Grammys. 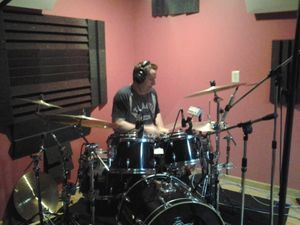 So just maybe Jim Riley is the drummer you need to do a fantastic job on YOUR project? 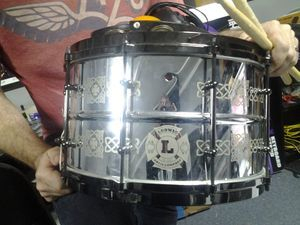 The Ludwig Jim Riley snare. In production and available, Jim Riley himself plays this one of a kind prototype on sessions! Want him to play it on YOUR session? Just ask! "Thanks Bill, :) I dropped the drums in tonight and they sound fabulous! Reminds me of Bob Burns drumming in early Lynyrd Skynyrd, both the sound and the splashy, rollicking drum lines. Your engineering and your drummer (ed. note: Jim Riley) deserve an ovation. I'll send you a copy when it's done. 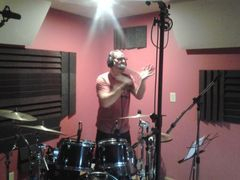 When you need rock solid drum tracks played with authority, why in the world would you go anywhere but Nashville Trax? Are you kidding? Feel the energy! Listen to that snare drum! Notice how well David fits right into the track! Want your drum tracks to sound like this? Practice for years and maybe it happens. Or order your pro drum track from us and have it NOW! Meet The Groove King as he shows local drummers in St. Louis what it's all about. "Darker Side of Love" © 2013 Tom Hogan. Used by permission. 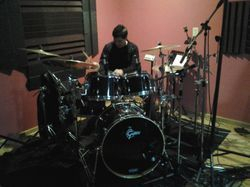 All Drum Tracks Online samples and projects are produced by Bill Watson. Unauthorized use is a vilolation of U.S. and International copyright laws. Why order from us? 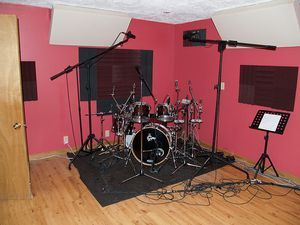 We have a great sounding room designed for recording drums. We have proven pro quality session players. The microphones on the drums are selected specifically for each drum and permanently dialed in for consistently great sounding drums. Drummers around the country offer tracks over the Internet. But they will likely not be professional session musicians. They won't likely have a drum room designed for recording drums. And they won't have the expensive microphones, pre-amps and mixing board designed to enhance the sound. We create punchy, clean sounding drums played tight-to-the-click with energy and focus, the foundation of an excellent project..
Why settle for a semi-pro playing through less than ideal equipment? *Regular rate is $125 per song, 3 to 5 songs: only $115 per song! COMPARE to our competition! They charge $150 to $175 per song! If you're going to spend money on a drum part, be sure you get the BEST! We have the best! Step 1: SEND YOUR ROUGH MIX MP3 or .wav file. send your file with the click (metronome track) panned left and your guitar, piano and other instruments, except drums. panned right. It's possible for us to work without a click if you don't have one but it will be easier and probably tighter with. It's helpful to have a 1-2-3-4 count upfront. If we're replacing your drum machine, pan to separate the drums, as if they were the click. If we are replacing your drummer, our drummer will prefer not to hear your drums as he's trying to play so simply mute them. A vocal mixed low, just enough to be audible is extremely helpful as well. 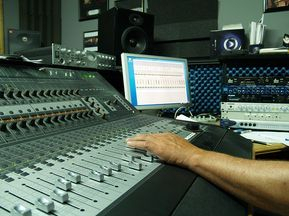 We realize you want the drums to be the foundation of your project so a piano/vocal or a guitar/vocal is fine. Step 2: E-MAIL YOUR ROUGH MIX TO: nashtrax@bellsouth.net along with any instructions or guide tracks. Step 3. PAY THE $125 fee via PayPal,com to nashtrax@bellsouth.net OR use the Buy Now button at the left. For $125 you'll receive one drum part for your song. Let us know if you want that mixed to stereo or if you prefer receiving each drum kit microphone separately to give you full control over each drum: kick drum, snare drum, hi-hat, toms, overheads, etc. We normally send eight individual tracks. They will be consolidated to length. Stick them in at the same start point in your project and they'll lock up automatically. Groove, power, subtlety, dynamics: what your song needs, it will have. Need a percussion part(s)? Tamborine? Shaker? Swells? etc. Add $25 per song. Also available: William Ellis, long time drummer for Montgommery Gentry. Another fabulous always-in-the-pocket player!